Remember the FROZEN party we shared with you guys? 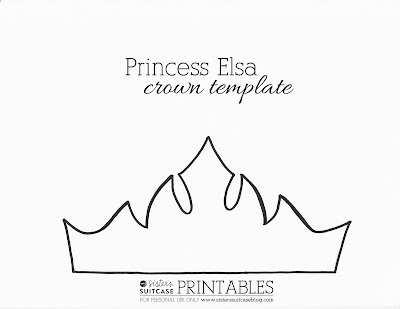 Since then, we have had a ton of requests for the Frozen Elsa Crown template that we used! So here they are! 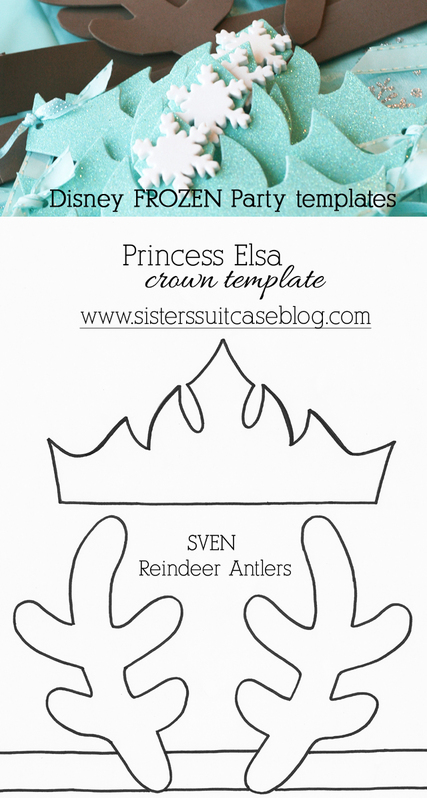 Enjoy making your own Frozen Elsa Crown and Sven Antlers! These are hand-drawn templates, so just print them out on cardstock, cut out, and use the template to trace on to your craft foam. You will be able to fit two crowns or one set of antlers per sheet of foam. Another question we’ve been asked a lot is where we found the sparkly blue craft foam… we got ours at Walmart! Click on the links below the pictures to download the templates. 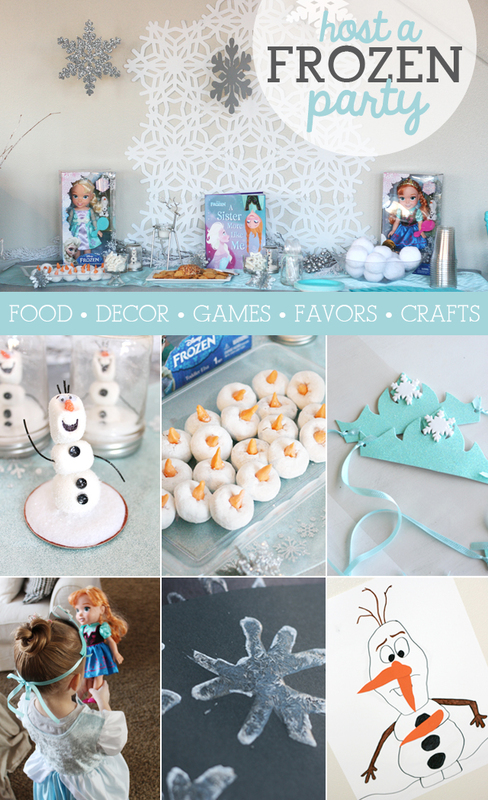 For more of our FROZEN party ideas, food, and activities, go to our FROZEN party post here! Speaking of Disney, now is a GREAT time to visit the parks for Halloween Time! We love Get Away Today for the best deals on tickets and hotels. Click below and use the promo code SUITCASE15 for great discounts on your next trip to the Happiest Place on Earth! 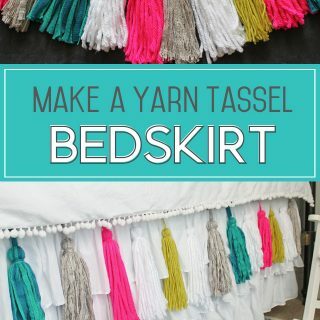 « DIY Tissue Tassel Mobile + Nursery Reveal! What an amazing party! You have given us soo many cute child friendly ideas! thanks for sharing! So cute! Where or how did you do the little snowflakes on Elsa’s crown? 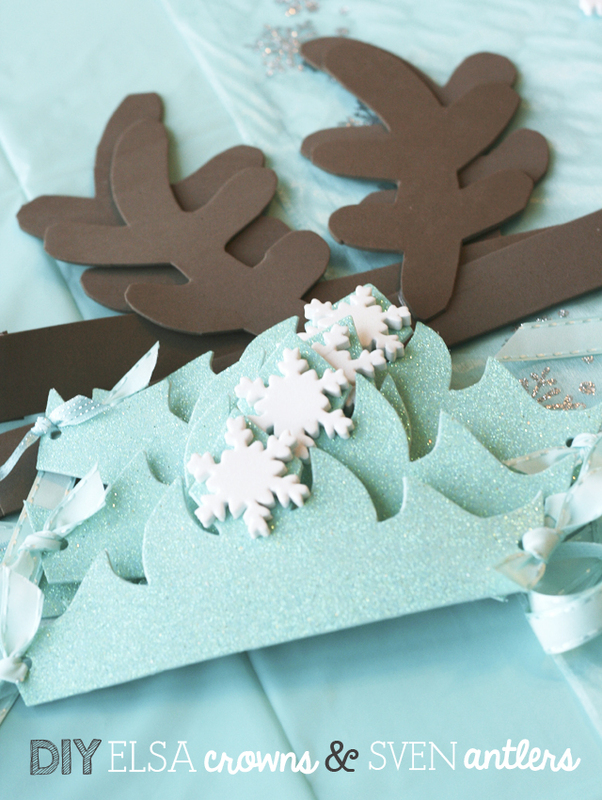 Those are adhesive craft foam snowflakes, you can get them at any craft store in the kids craft section. Hope that helps! 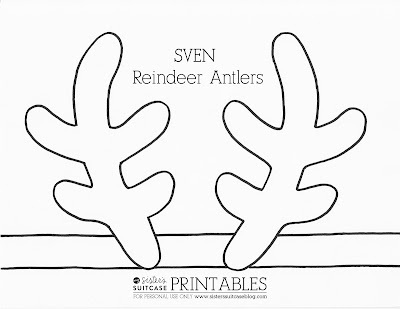 What are you using to join the Sven Antlers together? Tape, Staple? I tried saving the PDF’s without any luck. Any suggestions? My girls party is in a month and I wanted to start getting these ready. Where did you get the light foam green/aqua? We got them in individual sheets…it was last year but you may want to try JoAnn or Michaels, too! I couldn’t find the teal foam either. I used aqua glitter card stock I got from AC Moore. The card stock was extra strong with the glitter on it and was the perfect color. I got 4 crowns from one sheet. You can check them out at birthdaywishes.org., a nonprofit that organizes parties for children at homeless shelters. They put my party photo on their Facebook page. Thank you Sisters Suitcase for all the tips. I was wondering what you did with the foam because it is adhesive backed? Did you leave the white paper on? Oh perfect, Thank you! Good eye! Having problems printing template. Help. What did you use to tie the crowns and antlers to the children’s heads? We just used some coordinating ribbon and punched a small hole in the sides to attach a ribbon on each side. Let us know if you have any other questions. Thanks! I am having trouble opening the template. Please help. It just opens up super tiny. I know you asked your question a while ago but thought this would be good for anyone new having problems. I had same problem. On my computer print page I increased the size from 100% to 500%. It printed out fine and it looks to be the right size. 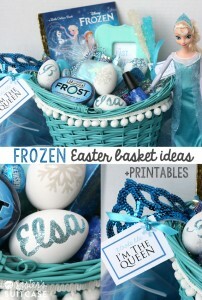 I haven’t made them yet but looks the same size as the Elsa template which printed out fine. Hello, Im having trouble opening the Sven Antlers template. As soon as I try to download/print, it shrinks down to a very small size. Can you help? The Crown template was perfect. Thank you! I had luck when i clicked on the Sven photo and not the download link. When i did that, it came up and printed full size. Hope it helps! I can’t find the blue foam sheets, I tried teal on the Walmart sire and still no luck. Can you give any more info or post a link for where they can be found. I would try Michaels and Joann Fabric too, the sparkly foam is hit or miss at Walmart. It also may be more of a holiday item. 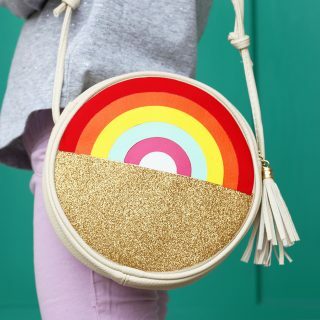 Hopefully you will be able to find something that works for your party! Found my teal foam sheets at Hobby Lobby. Thanks for all the ideas! Love this!! Got all the stuff (couldn’t find sparkly blue, so we are ad-libbing) and will git-r-done!! Can’t wait for my party next week. If I may, I would like to feature this on my site (giving you credit, of course)–once I get a minute to breathe!! I will shoot you an email when I get there!! Thanks for the wonderful templates and ideas!! Have a wonderful weekend! 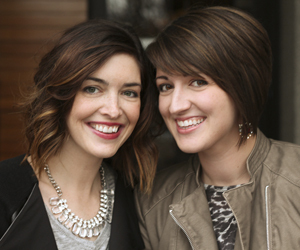 I love the idea of two sisters blogging together BTW. What a fun adventure! Thank you so much! Can’t wait to see your party, it sounds fabulous!! We would love to be mentioned in your party details when you post it. Thanks again! For the antlers did you use brown ribbon or the craft foam to go around the little boys heads? I can’t tell in the picture. We just used the craft foam to expand to fit around the guests’ heads. Thanks for your awesome ideas. I have made the felt tiara’s and antlers and am wondering what you used on the back of the antlers? We used plain brown craft foam and didn’t back it with anything. Good luck! I’m so glad they loved it!!! Thanks for letting us know! 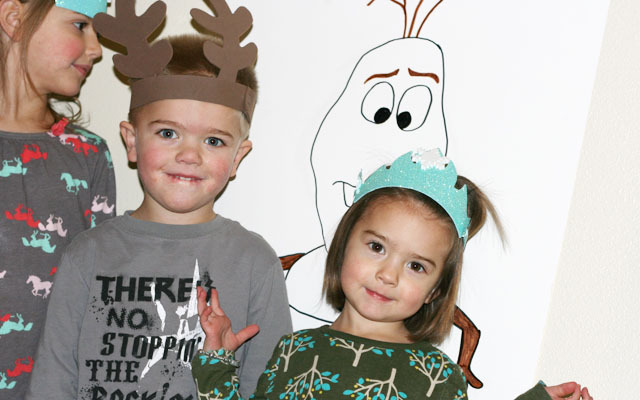 I love these crowns and am planning to make them for our own Frozen party this Saturday. How did you attach the snowflake? Is that a sticker or a piece of foam that you cut out? Thanks Anna! It is actually a little foam sticker in the shape of a snowflake… I’m wondering if you could find something in a craft store. It seems like everyone has their Christmas stuff out already! Good luck! For the foam antler and crowns, how are they secured in the back? Is is just ribbon that is tied together? Did they stay on the children’s head easily? Yes, we just tied the ribbon! They stayed on pretty well! Thanks for sharing the crown template. We printed it super small tonight and used it to make a felt crown for my daughter’s favorite stuffed animal! Thank you so much for the templates!!! Kisses from Argentina!! I love these! 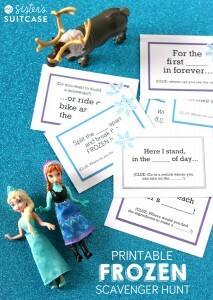 I just recently threw my little girl a Frozen party and these would have been perfect. 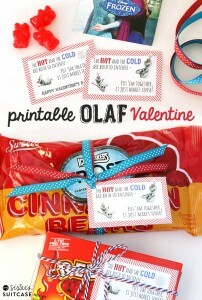 I did manage to make some awesome invites, but would have loved these. Maybe for the next time we have a few friends over!